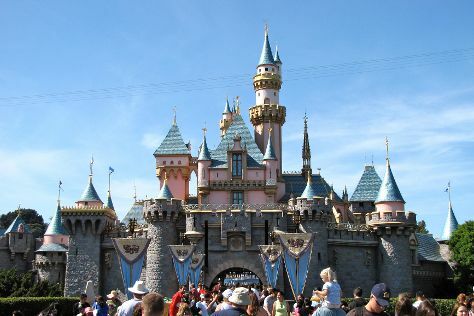 Family-friendly places like Disney California Adventure Park and Griffith Observatory will thrill your kids. Change things up with these side-trips from Los Angeles: Anaheim (Disneyland Park, Downtown Disney, & more) and Santa Monica Pier Aquarium (in Santa Monica). Pack the 18th (Fri) with family-friendly diversions at Universal Studios Hollywood. And it doesn't end there: take in the waterfront at Santa Monica Pier, get curious at California Science Center, get a new perspective on nature at La Brea Tar Pits and Museum, and don't miss a visit to Hollywood Walk of Fame. To see where to stay, other places to visit, maps, and more tourist information, use the Los Angeles online road trip planner . If you are flying in from United States, the closest major airports are Los Angeles International Airport, John Wayne Airport-Orange County Airport, Ontario International Airport and San Bernardino International Airport. In October, plan for daily highs up to 82°F, and evening lows to 62°F. Finish your sightseeing early on the 29th (Tue) so you can travel to Chennai. Attractions like The Madras Crocodile Bank Trust and Centre for Herpetology and Kalikambal Temple make great kid-friendly stops. You'll find plenty of places to visit near Chennai: Mahabalipuram (Monuments at Mahabalipuram, Sea Shore Temple, & more), DakshinaChitra Museum (in Muttukadu) and Covelong Beach (in Covelong). Next up on the itinerary: admire the natural beauty at The Theosophical Society, get in on the family fun at VGP Snow Kingdom, take in the spiritual surroundings of Ananthaa Padmanabha Swaamy Temple, and enjoy the sand and surf at Marina Beach. For other places to visit, ratings, where to stay, and other tourist information, refer to the Chennai trip planner . Fly from Los Angeles to Chennai in 26 hours. Alternatively, you can do a combination of bus and flight; or do a combination of train and flight. You'll lose 13 hours traveling from Los Angeles to Chennai due to the time zone difference. In October, Chennai is somewhat warmer than Los Angeles - with highs of 91°F and lows of 76°F. On the 11th (Mon), you'll have the morning to explore before heading back home.